Anytime you’re writing a research paper, you’ll more than likely have to include some parenthetical citations. These are known as in-text citations. It’s where you reference an outside source, using information from that source to make a point or support a thesis. Because the information is not likely to be known by the majority of readers, you cite your source right there in the text. This article will describe how you do that using the APA style. Jim Nabors went on to do fantastic work later in his career but the one regret he always had, according Oldman (2016), Jim’s unofficial biographer, was that he never got to play Hamlet on Broadway. Golf would be a lot easier if it weren’t for all the gophers that have been shown to have an innate antipathy for greens (Murray, 1980). In ancient Sparta, women held more sway than men (Gulliver & Thompson, 2012). The approximate dates for the start of the Cold War are disputed, but the airlift in Berlin serves for as good a beginning as any (Colby, Stewart & Marshall, 2008). No need to include all the names. Give the first one and add et al. Stalin did not trust Truman, and he trusted Churchill even less—and for good reason, as each plotted against the Soviet Union dictator (Colby et al., 2008). Establishing a connection between genetic material and the disease has been impossible to do for a lack of consistency among the findings of randomized trials (Benson, Carlos, Delgado et al., 2017). For more tips on how to cite journals in APA style, check out this tutorial [link to article]. Ellis (2003) shows that climate change is not the result of any man-made pollution but rather the natural result of “a planet that is constantly in flux” (p. 37). The inspiration for Conrad’s novella came from an experience the author had when sailing in the Pacific during the “pining days of his youth when his taste for adventure was still strong” (O’Connor, 1987, p. 3). If you’re using a website as a source, you’re more than likely to find that there are no page numbers to include in the in-text citation. That’s okay. Use headings or paragraph numbers in lieu of a page number—but only if possible. If not—no worries. The onset of the illness can be triggered by environmental factors such as stressful situations or pollution (Jones, 2017, Discussion section, para. 2). See this tutorial for more tips on how to cite a website in APA style. In several studies, researchers have shown that servant leadership combined with the application of emotional intelligence can have a tremendously positive impact on worker morale (Gonzales, 2000; Francisco & Butler, 2004; Grecco & Stephens, 2007; Bertrand 2012). These findings support the conclusions of Galloway (1998), Parker (1999) and Morgan (2003) regarding how a strong organizational culture can best be achieved. New Orleans was the real birthplace of jazz, as a confluence of events and circumstances produced the unique sounds that then spread to other major urban areas (“The Birth of Jazz,” 2014). The Scopes Trial was a staged event from beginning to end, designed to pit the two extremes of science and religion at one another’s throats (Brutus, n.d.). It’s not uncommon for organizations or groups to publish information that can be used as a source. In cases where the organization takes ownership of the text, you can use the organization’s name as the author. Schizophrenia affects more than 20 million people all over the world (World Health Organization, 2013). In the Allegory of the Cave, the inhabitants are watching shadows on the wall, taking it as reality, when in reality what they are seeing are simply illusions (Plato, trans. 2015). Christ identified Himself as the “true vine” and His Father as “the husbandman” (John 15:1 King James Version). Doing parenthetical citations in APA is simple. You’ll need to do it in order to show that you’re not just making up evidence or arguments to convince your reader. So if you find some tidbit of information in a source that can help you sell your paper, throw it in there—but you have to be sure to cite that source right there in the paper wherever you use that great info! In other words, give credit where credit is due. It does no good to try to pawn off other people’s knowledge as your own—mainly because if it’s not commonly known already, your reader is going to want to know where you got that info from! So be sure to say by including an in-text citation—i.e., a parenthetical citation. Give the author or authors’ last names, follow that up with the year in which the source was published, and if you’re using a direct quote from the source add the page number of the text from where the information was retrieved. Need more help with apa parenthetical citations for your research paper? 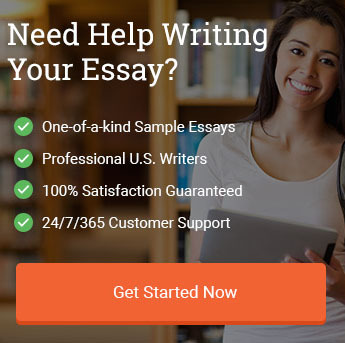 Check out our research paper writing service and get the assistance you need. Always be sure to check the latest updates on APA citation methods from the official APA manual. Two or more authors? Use the “&” symbol! No need to shove half a dozen authors’ last names into your parentheses: 3 of them and an et al. will do. No author? Give the title of the article in quotation marks. "How to Do Parenthetical Citations in APA Format." Aceyourpaper.com. Student Network Resources Inc, 2 December. 2017. Web. 20 April 2019. Student Network Resources Inc. "How to Do Parenthetical Citations in APA Format." Aceyourpaper.com. https://www.aceyourpaper.com/citation-guides/parenthetical-citations-apa/ (accessed April 20, 2019).